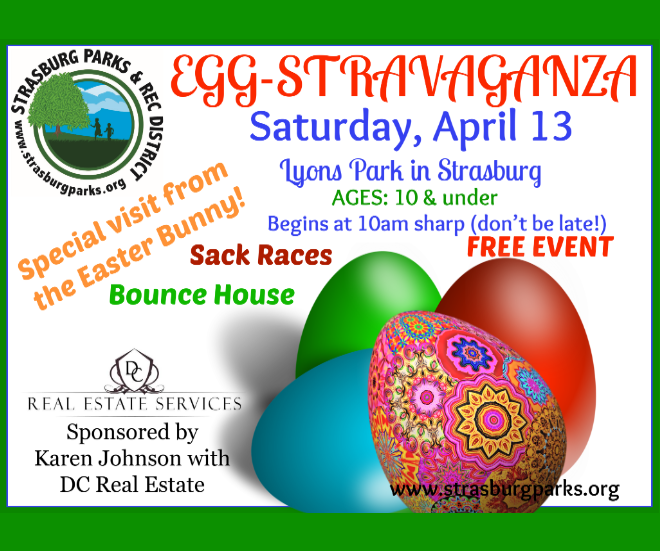 The Strasburg Metropolitan Parks and Recreation District Board is comprised of 5 members. The Board serves in an advisory capacity to the District in matters relating to: planning, acquisition, development and operation of neighborhood, community and regional parks; open space; trails; recreation programs; and cultural programs and activities. Click here to view our Board of Directors Transparency Notice_2019. Next election will be held in May 2020. The Board Meetings are open to the public and are held at the Strasburg Legion Hall, 56423 Westview Ave., Strasburg, CO 80136, at 6:00pm. Dates are as follows: Monday, January 28, Monday, March 18, Monday, May 20, Monday, August 19, Monday, October 21, Monday, November 18. To be placed on the agenda for a Board Meeting, please call the office by Friday prior to the meeting date. Angela Graf, District Manager, accepted the position in 2010 after working for two years as the district’s Activities Director. Prior to that time, she worked as Marketing Director for a National Restaurant franchise company. As a graduate of Strasburg High, Angela and her family have lived in Strasburg for nearly 25 years. Angela believes that recreation is all about providing safe, enjoyable programs for people of all ages and abilities. Nick Dickens, Manager of Parks & Recreation. Nick has an extensive coaching background and an overall love for athletics and feels that this job is a perfect fit for him. Nick spent nearly fifteen years working for the Colorado Department of Transportation, and brings a wealth of knowledge related to maintenance, construction management, permitting, engineering and environmental concerns. Joanna Arnold, Director of Discovery Time Preschool, started with the District in 2007. Joanna holds a Director’s Certificate. She and her family have lived in Strasburg on a ranch outside of town for 15 years. Joanna loves to see the kids progress throughout the year and especially enjoys having a hand in preparing them for the rest of their school experience. Jessica Loveless Joined Discovery Time Preschool as the 3-year-old teacher in 2010. In 2012, Jessica also took on the role full time of Office Assistant for the District. She arranges all of the seasonal and special events for the district’s youth. When Jessica isn’t at the Rec Center, she is busy with her girls’ sports schedules. Aimee Ayers-Rivera, Activities Coordinator, has been a Fitness Instructor and Coach for the I-70 Corridor community since 2010. Prior to that Aimee served as a Police Officer for the Denver Police Department until an early retirement in 2010. Aimee graduated from Bear Creek High School and studied at Metro State College of Denver. Her interests and hobbies include Human/Sports Performance, music and dance, business management, animal sciences and wellness.